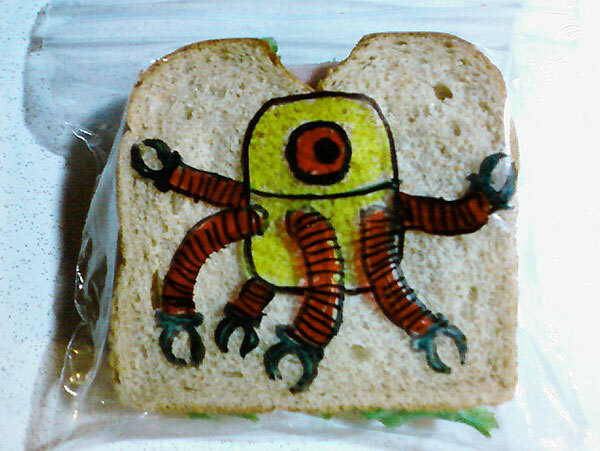 It probably won't wind up in an art gallery but it gets points for creativity and dedication. 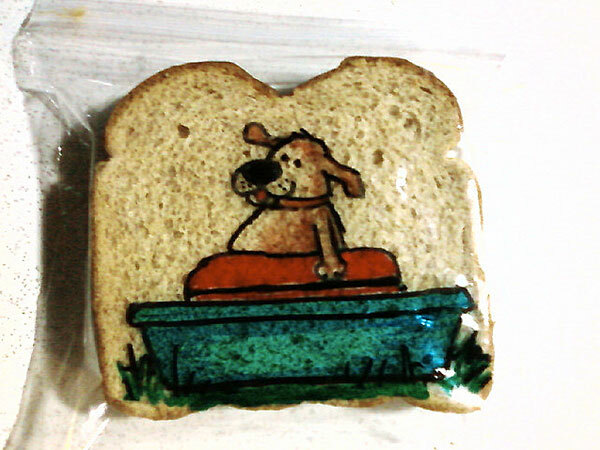 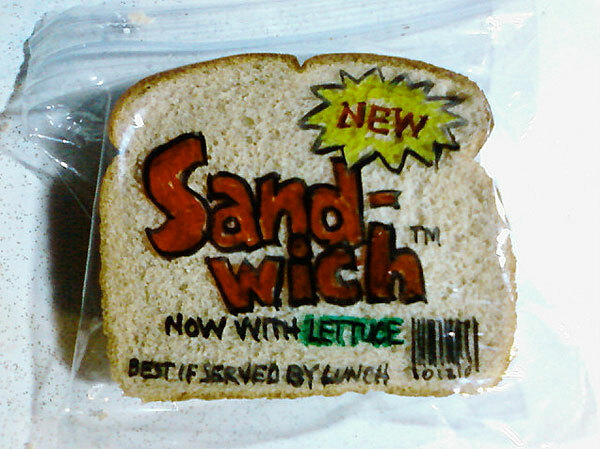 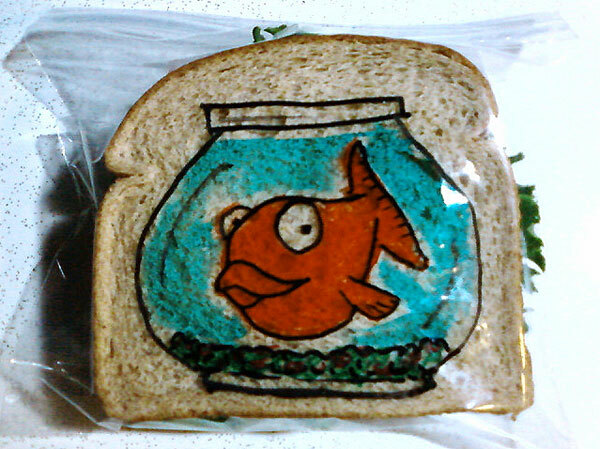 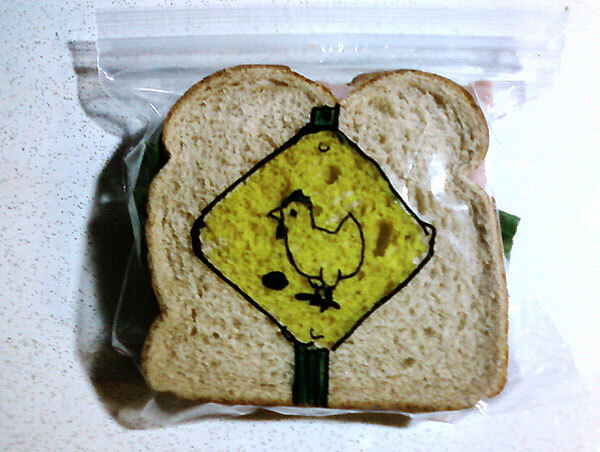 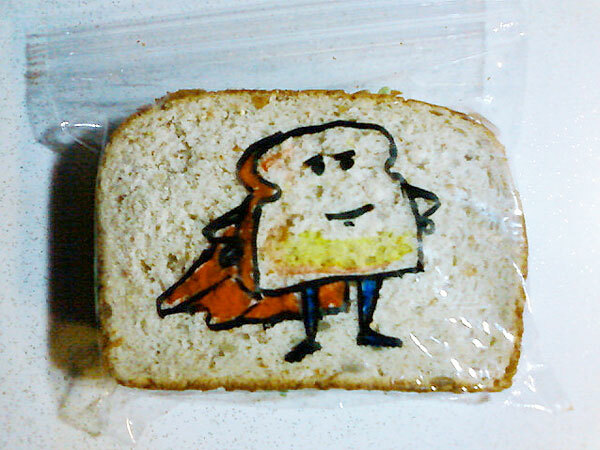 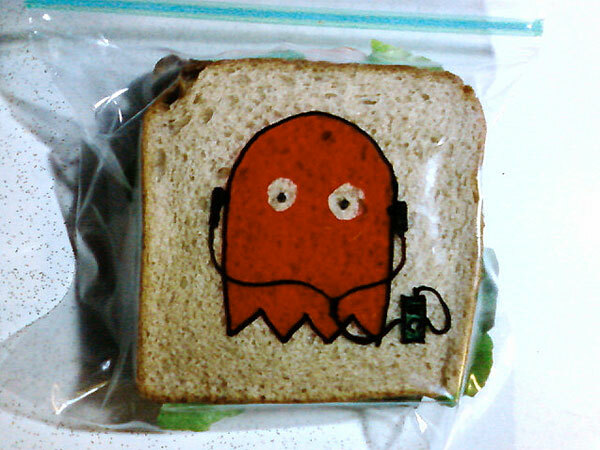 Since 2008, David Laferriere has been doodling on his kid's sandwich bags with a Sharpie marker. 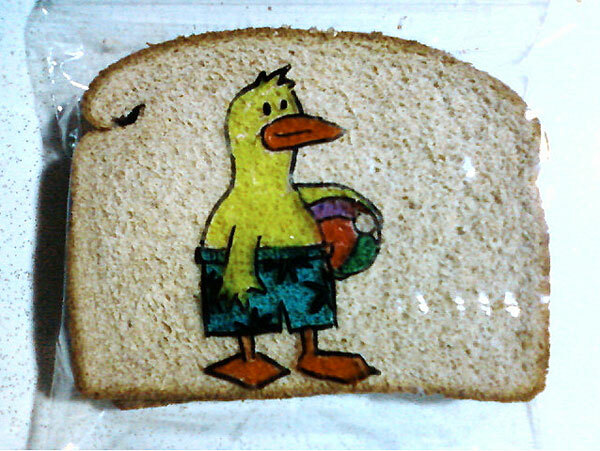 He then takes a picture of the finished work and posts it on Flickr but his kids don't see the drawing until lunchtime.